Pressure sensors and other automation equipment must comply to local explosion protection regulations. 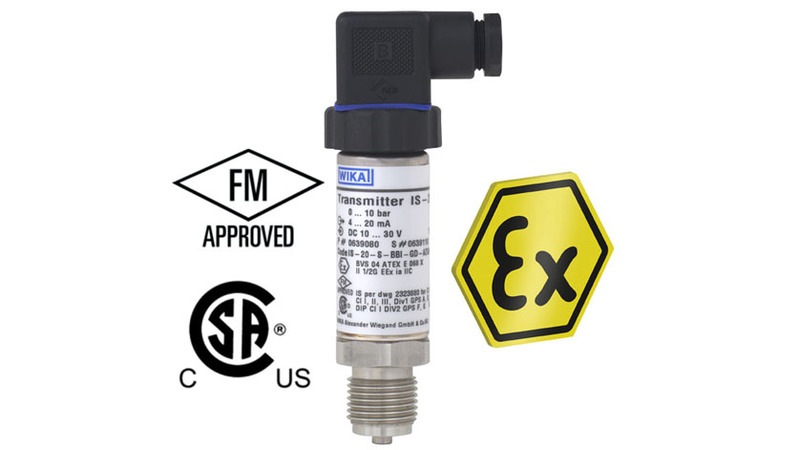 The most well-known regulations are the directive 94/9/EG ATEX for installations in Europe and CSA, FM approval for installations in Canada and the US. If one’s area of work does not involve knowledge about hazardous area installations on a regular basis, there may exist some confusion about some terminology. Therefore we have created training material to train our blog readers about regulations and terminology for hazardous area installations. This training material is known within the WIKA organization as “Ex 101”. In the first part of this series, we explain the differences between the ATEX classification in zones and the CSA/FM classification in divisions. According to 94/9/EG ATEX hazardous locations are divided into different areas depending on the time a hazardous atmosphere is present. For example areas where a potentially explosive atmosphere is present for more than 1,000 hours per year are classified as Zone 0. The North American approvals CSA/FM classify hazardous locations into two divisions, Div. 1 and Div 2., but additionally into three classes depending on the potentially hazardous materials handled. For example a Class III, Div. 1 area is a location where flammable fibres are handled or used in manufacturing. You can find more details in the complete “Ex 101 Hazardous Location Basics Part I”-training material.This internal training material is available free of charge exclusively for readers of this blog. Click here to download your copy. When does a sensor modification require changes to the approval?